Last edited by yhg342 on Fri Feb 07, 2014 12:27 am, edited 2 times in total. I assume these arts are all from Hakomi. The central theme of Hakomi could be” feminine or Anima = portal”, "the access to Heart intelligence". well, so far, the old (new) WM website is still there - does anyone know what's going oin ? wonder why everything we get is "leaked" when we are signed up to get "news" ? The WingMakers Plan was conceived by James Mahu, the visionary creator of the WingMakers. We are currently 15 years into the evolution of that plan. It’s now clear that from the time that the first website was launched in November 1998, it was designed to expand to five websites, and then consolidate. This new website—what is euphemistically being called WingMakers 2.0—is an “in-breath” or a consolidation of the diverse resources that James has created (or “translated,” as he puts it). WingMakers is a resource for those who are interested in the spiritual values of their heart and mind, and are seeking new insights and inspirations to stimulate their growth and sense of purpose. WingMakers is not an organization or a group of people bent on solving the issues of today. It is exquisitely personal. It is designed to help the individual to activate or deepen their spiritual path, so they can rise to the purpose they came to serve as both a soul and soul carrier. After the ecstatic reading, I sensed this website could be under the construction, before being transplanted into WingMakers. com. And the process stopped at some time and is abandoned. There are various reasons, but I assume so. The strongest evidence is this sentence which posted by starduster. This domain is NOT our holy WingMakers.com. I don’t know how yhg know the link, but I believe yhg must explain why you know this link. yhg, could you explain about it? Did Mark tell you this link? yes, Shima, there are many questions that we know we will get no answers to, from the WM's Heirarchy (snicker) even in the Age of Transparency it still takes ten months to transcribe a phone interview - there is no rush for them to release it, since they have all read an "advanced copy" but if someone had asked me (or prob a dozen others) to transcribe it, I would have had it done in a couple of hours ... honestly I don't get it - if it is going to be released for free, what's real reason for the delay ? when Mark announced it, he said it would be released in two weeks .... that interview was delayed prob for months ... WTF folks - do you blame people for hacking - when everyone KNOWS it's out there? I don't know what is going on at all! Seems like this forum is the only active place to bring up news about WMM's. . . at least for my part. I have no idea how any of you find new content, still you do and sumbit it here. Thanks anyways, to all of you who do. It is always mighty great with new content. I'd like to learn more about the glyphs very much because I find them aehestically beautyfull, and also I would like to know what the rest of the tributary zones are like! Like I mean I really like the ancient arrow site material, big cheers for the music AND the paintings! I love it. Nevermind the rest of the stuff, Nerdua interviews... mmm! And now this new hakomi content, it is great too! Does anyone know anything about the rest of the tributary zones? Like whats up with the one in scandinavia? Or is it just a part of the novel? Fact or fiction, or physically real or non physically real - whatever really... But what is the music and the paintings on that particullar TZ!? Because THAT is what I am reeaałly interested in! 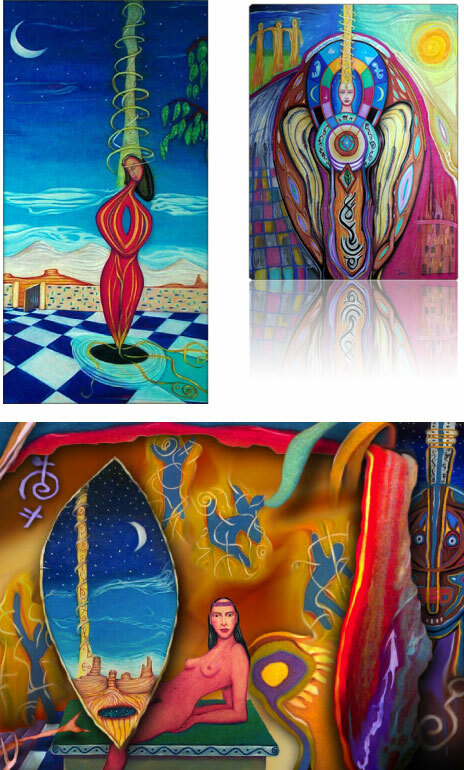 The music and the paintings , I want to "tattoo" my community with the visually gloriously straight up fantastic eye food -the paintings-, feeds the hearteye! I want to let the music play where I am, and preferably with a new twist in a new situation. Creates an up-lifting experience, in mood an body, for me, it helps my thinking, and THAT I appreciate very much. Thank you all who presents this brilliant art and music and poetry and other readables, on this forum and on other websites for folks like me to enjoy and be inspired of the submitted content. Thank you WMForumUK and thank you James and Mark. Maybe there is no more content, and it all just is about the HV's. Althought if there is I am the kid who likes to open the christmas presents before christmaseve, but there was never no real santa anyways. Luckily I have only been waiting for new content since 2011. . . But still I've swallowed it all to the best of my abilities, how its digesting I'm not really sure of but it feels empowering, powerful "soulfood" , makes me feel OK! More music please, and bring on the rest of the content, for me it is as easy to consume as water, and I drink a lot of water, water with different things in it, like salt or syrup. Wingmakers if seen as water tastes fresh n cool, with essential things in it, all the way from the first source I assume thats why it is so good! This is the answer for all. Maybe Indian government crashed the site for 15 who is laughing at all of us. no more forum is real.......not fair to Ernest that he should have to pay for IT. 4 AM ish 1st bell . To funny Shima. Like in Hitch Hikers Guide to the Galaxy some number was the answer to all, or was it TOE ( The Theory of Everything)? Anyway, it's not of soley the intellectual but from more of a Wholistic perspective. And what is that???? Shayalana, I had found the way to enjoy the contents again. You can also enter the site. I think other person entered the site, too. I guess the reason they don’t tell it us officially is they want us to find it by ourselves. There is no challenge here. This is the staging site for the new updated WingMakers' website, which someone found and released before the site was ready to be released. It will be officially released by Mark when all the work that needs to be done is done. Like correcting copyright on the Interview with Mark and James that was posted on the Forum. The url now gives you a 404 error, so that the site can be finished without it being spread over the internet before it is ready. 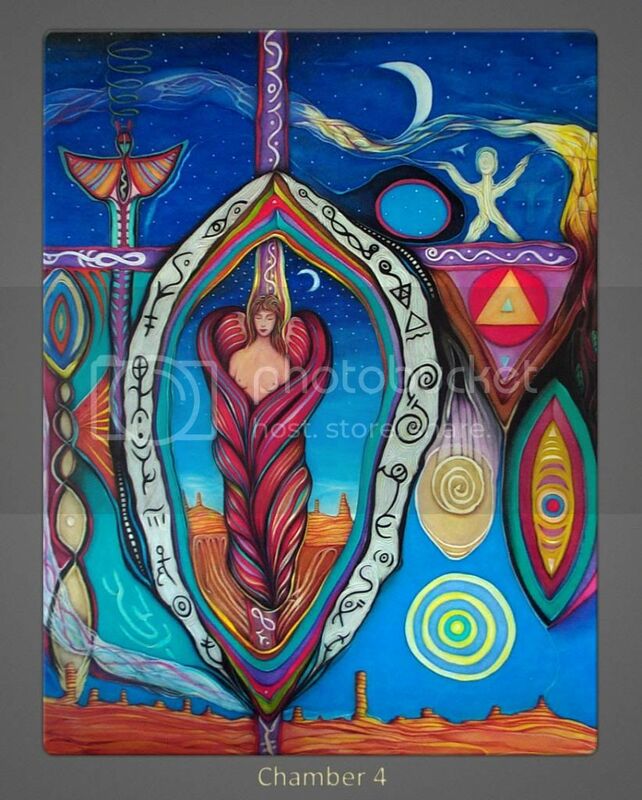 This is a painting of the woman at the bottom of your posting is from First Disc called the Anasazi Woman, if you have this disc it is either called the "Portal Painting or the Master Paintings." Indeed, the staging site is over, yes, I know about it very well. BUT, another way exists, to view the contents again. And “the Anasazi Woman” is “mash-ups”art by AA and Hakomi, I think so. And I think I understand why James did such a thing. So I appreciate whom-ever gives us an "advance copy" ... thanks for sharing ! Darlene, you were sitting right there with Mark, in that interview - TEN MONTHS ago , when he announced the "new interview" would be released in TWO WEEKS ... and I bet you read it before the INTERVIEW ... I find that DECEPTIVE - when nothing is said to correct their release date ... I realize that you all are very busy but SO ARE WE. Last edited by starduster on Thu Feb 13, 2014 3:35 pm, edited 3 times in total. Last edited by starduster on Thu Feb 13, 2014 4:35 pm, edited 1 time in total. I work with these students through the Tributary Zones known to you as the WingMakers materials.Yes, I will take on new students using the WingMakers material as the medium of my teaching. I intend to remain unknown as a human personality, allowing the sensory data streams of the Tributary Zones to perform the majority of my teaching. I am a teacher of encoded sensory data streams and was trained, at my request, to embody as the human translator of the galactic Tributary Zones, making them intelligible to the human race of the 21st century. Question 8 -- Once the seven tributary zones are discovered, mankind will awaken to the Grand Portal. Does this mean that the WingMakers' material will awaken seven areas of the human spirit/mind, which will lead to mankind's shift to the fourth dimension in 2012? At the risk of appearing a bit fastidious, the seven Tributary Zones aren't discovered so much as they are revealed. This revelation is a gradual dispensation of a new sensory data stream that is encoded with numerous "triggers" that will touch deeply into the next three generations of select humans incarnating upon earth. These sensory data streams will -- in effect -- crystallize the supernal purpose of the individual and make it accessible to the human mind of the individual. This access may be as innocent as causing the individual to select a career of scientific inquiry into the human genome, or as powerful as awakening the Sovereign Integral state of consciousness. While the seven Tributary Zones are revealed, the Grand Portal is discovered. Each of the seven disciplines of Lyricus is connected to a Tributary Zone. In other words, one of the Tributary Zones, known as the Ancient Arrow site, is focused on the human genome. The next site that will be revealed is focused on cosmological sciences, and so forth. Each of these areas of emphasis is subtly manifest (encoded) in the sensory data streams of their respective sites, and trigger an awakening in the mind of the recipient. Question 9 -- Are the tributary zones purely spiritual, or do physical events play a part in opening these up? While physical events upon earth and the evolutionary status of humanity impact on the timing of the physical revelation of these seven Tributary Zones, they do not dictate the revelation of these mysterious destinations insofar as the individual is concerned. The seven galactic Tributary Zones exist near the centermost point of the Milky Way galaxy, making them inaccessible to humanity. This is the primary reason that a translator is required. The other reason is that the vibratory rate of the Tributary Zones is purposely accelerated in order to ensure that only those entities of a compatible vibration may enter. There are members of the humanoid species, throughout the galaxy, that attend these sites in their dream state or meditation sessions. Question 6 – Could you please describe in more detail what the Tributary Zones are and what their purpose is? Answer 6 – The Galactic Tributary Zones are the knowledge repositories of Lyricus. They house the local Lyricus staff, research centers, teaching facilities, and various tools that we believe – in this particular case – will help humanity focus its technology and efforts in the pursuit of the Grand Portal. As I have reported previously, there are seven Tributary Zones within the Galactic core. These Tributary Zones relate to the seven primary disciplines that comprise the Lyricus “library of catalytic tools”. The reason that the physically translated Tributary Zones are critical to earth-bound SECUs is that they are the most certain catalysts of the seed memory. It is very hard to transpose super-conscious knowledge and decelerate it for conscious recall by a human instrument. And this will be required in much higher frequency over the next 100 years, so the Tributary Zones are being raised to a new level – an EDSS – that will trigger seed memories. 1. The Portal or Master painting are on the First Source disc which came out about 2001 and on the DVD of Meditation in Timespace. I am sure that James has done some updating to them. John did a complete graphic of the ten of them, showing how they are interconnected to the Ancient Arrow Project Chamber Paintings. I have just found the PDF of and will have it uploaded to planetwork.co website. 2. Yes, Mark and I were interviewed at the time he spoke of the Interview with James. No, I did not get an advance copy of it to read. My first time seeing it was on this Forum. I forgive you for feeling I have "deceived you." Several in the WingMakers community have email me and asked about the date for the release of the interview. I have answered them with this, "it is to be part of the updated or new website, when that is released." 3. For me this has been a great exercise in the heart virtues, for those that choose to release the site before it was ready to be release. As you can see that the copyright is incorrect on the Interview. Since the site where it was found is a staging site, for the company to put the site together and then have the error fixed before it goes public. A website of this detailed takes a long time to build and get it right. We all know with all this WingMakers it is about timing, which is not always our timing but the timing of the universe. firstly,appreciate to first source to create such an interesting accident! our universe is so perfect, So,our discretion also must be perfect. the practice of letting go of old patterns. However, in the Event Temples 3 paper "The Temple of Spiritual Activism" we also learn to practice "Presence of Allowance." We allow for different levels of development and let their Greater Self give them the experience of wanting to practice 'Living from the Heart." Where one sees an injustice according to the Lyricus Teachers is a time to use Valor. So I used Valor in my posting, as the perceptions of another are not correct. I also sent understanding and compassion. The universe is going though a shift as all are on this planet. We all are One at our core. But each of us has different roles to perform in this great project of the discovery of the Grand Portal.